I went door knocking with Police in Boundary Way. There were about 25 of us including 4 fire service volunteers , police volunteers, Neighborhood Watch Coordinator, Police Officers , PCSO’s and I. We had over 300 houses and flats to knock on the doors of. Had they heard of Neighborhood Watch? We left a pack at all houses including the ones that were out. It was a dry day and we got a good response from the public. After seeing Watford beat Leeds 4 – 1 my wife and I drove to Haileybury School in Hertford Heath for out second concert in 2 days. Both Orchestras had been based at Haileybury School for the week. All musicians were Grade 8 and above. 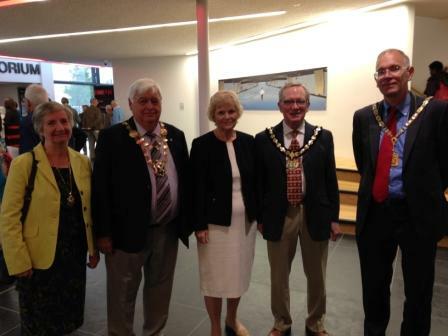 The Vice Chairman of the County Council, the Mayors of St. Albans and Dacorum and the Mayor of Hertford were all present at the concert so that all three tiers of Local Government were represented. The majority of the audience were parents, grandparents, siblings and friends of the orchestra. Labour Prime Minster , Clement Attlee, was a former pupil at Hailebury. They now have an annual memorial lecture. In the first half we listened to a rarely performed work, Violin Concerto, by Alan Berg. It was written in 1935 the year he died. The soloist was David Greed. It is a technically difficult work . It is like Marmite – you either love it or you hate it. In the interval drinks we met Anthea Spensley, former Head of Music at Parmiters. There were three Parmiters pupils and one former pupil in the Orchestra. The second half was Symphony No 10 by Dmitri Shostakovich. It was brilliant and we really enjoyed it. 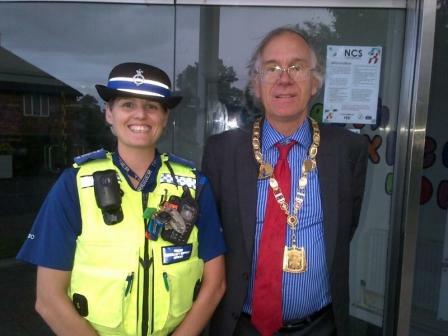 As we were about to get in the car my wife recognised Jessica Prince, a clarinet player from Parmiters . She had played at the civic reception in 2009. I met my wife in Hatfield after work for Bank holiday Friday, she had a trouble free journey. 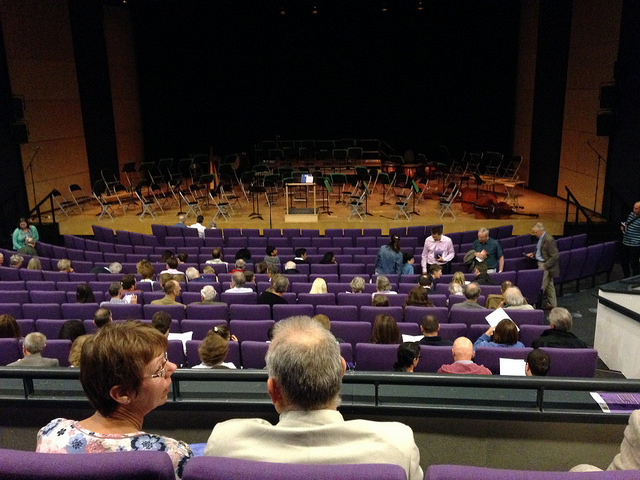 The concert was held at the Weston Auditorium at the University of Hertfordshire. The young people had one week to prepare for the concert. Details of future concert dates can be found on the website. All musicians were Grade 7 and above. The Chairman and Vice Chairman of the County Council, County Cllr Derek & Alison Ashley, Mayor of Hatfield, Hertford and Chair of Elstree and Borehamwood were all present. The majority of the audience were parents, grandparents, siblings and friends of the orchestra. The music was fantastic. 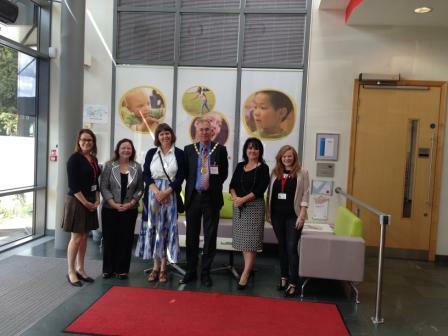 I visited staff at Action for Children’s head office in Croxley Business Park, Watford, on 21 August, to find out more about the charity’s work. I heard from various departments about the vital work that Action for Children does in safeguarding children and young people, and about the diverse range of services they provide across the UK in their 650 projects. 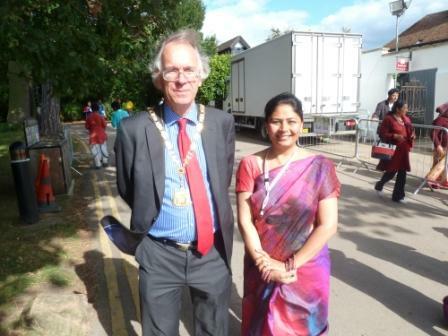 I first met Action for Children staff when they volunteered at a stall at the local festival Croxley Revels in June. The next month I joined Action for Children fundraisers, staff and volunteers, children and their families for a summer fun day at the disability service, West Hyde, in Rickmansworth, to celebrate the charity’s 145th anniversary. It was a fantastic day and to see the children and their families who attend the centre really showed me how Action for Children has such a positive impact its local community. From children’s centres and disability projects, to assisting homeless youths, the work is far-reaching and important. The charity is a strong believer in early support and campaign to get funding for those who need the most support. In Hertfordshire alone, they are the largest third-sector provider of disability services across the county. For the first time since I left Rickmansworth School I visited the swimming pool. My parents had contributed to the School pool the whole time I was there. I swam in it twice that term. 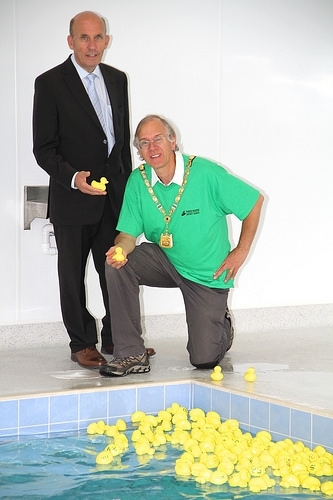 This visit was to help promote public swimming in the school holidays. The new School Leisure facility looks fantastic. I would like to encourage us all to do more sport whether we are young or old. During the summer holidays, Three Rivers District Council in Partnership with Hertfordshire Leisure and Rickmansworth School has made Rickmansworth School Swimming Pool available for public swimming on Monday to Friday between 10:30 – 2:30. When we were at the Commonwealth Games we did not see any of the swimming at the Pool in Glasgow. But we did see the open swimming in Strathclyde Loch when we saw the triathlon.